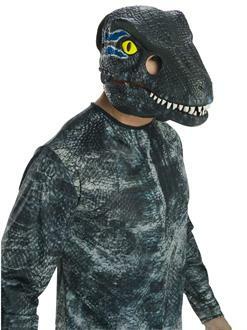 Enhance your next Halloween or cosplay getup with the Jurassic World: Fallen Kingdom Velociraptor Movable Jaw Adult Mask. This realistically designed mask includes a movable jaw for life-like comfort. Shop officially licensed Jurassic World costumes and accessories online now.